NEW YORK, August 16, 2017 – Inc. magazine today ranked Personify NO. 3362 on its 36th annual Inc. 5000, the most prestigious ranking of the nation’s fastest-growing private companies. The list represents a unique look at the most successful companies within the American economy’s most dynamic segment— its independent small and midsized businesses. Companies such as Microsoft, Dell, Domino’s Pizza, Pandora, Timberland, LinkedIn, Yelp, Zillow, and many other well-known names gained their first national exposure as honorees of the Inc. 5000. The 2017 Inc. 5000, unveiled online at Inc.com and with the top 500 companies featured in the September issue of Inc. (available on newsstands August 16) is the most competitive crop in the list’s history. The average company on the list achieved a mind-boggling three-year average growth of 481%. The Inc. 5000’s aggregate revenue is $206 billion, and the companies on the list collectively generated 619,500 jobs over the past three years. 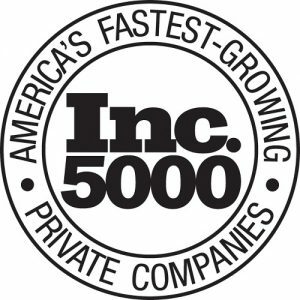 Complete results of the Inc. 5000, including company profiles can be found at www.inc.com/inc5000.